Inactivity puts physical and mental health of more than 1.4 billion adults at risk, says WHOInsufficient physical activity is a leading risk factor for non-communicable disease, negatively impacting mental health and overall quality of life, according to a newly released United Nations health agency study. 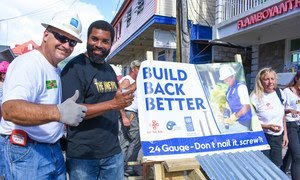 In the eye of the Caribbean storm: one year on from Irma and Maria“It was angry. That’s what it sounded like to me. When the roof came off, there were these horrible screeches, this horrible noise. It was devastating, and we all had to run”. 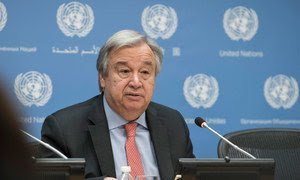 UN Chief commends Mauritania for peaceful election processUN Secretary-General Antonió Guttereshas welcomed the “peaceful conduct” of the Mauritanian elections that took place on 1 September. 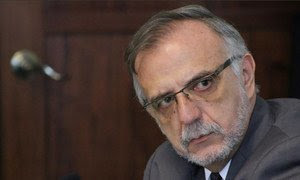 Guatemala bars UN anti-corruption investigator from re-entering countryGuatemalan authorities informed United Nations Secretary-General António Guterres on Tuesday that they have barred Commissioner Ivan Velasquez, of the International Commission against Impunity in Guatemala (CICIG), from re-entering the country. 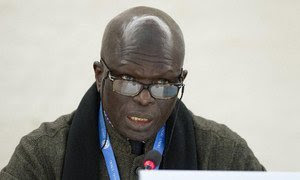 Burundi: ‘They’re hiding the bodies’ after summary executions, say UN investigatorsSerious rights violations are continuing in Burundi, including summary executions and hate speech at the highest level of government, UN-appointed investigators said on Wednesday. 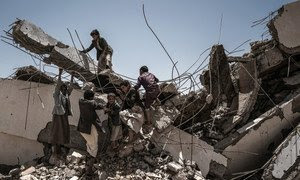 Major UN push for peace to end Yemen’s ‘hot war’ begins in GenevaEfforts are under way to bring a “flickering signal of hope” to war-weary civilians in Yemen with UN-organised consultations between the Government and the Houthi opposition in Geneva set to begin, the UN’s Special Envoy Martin Griffiths, said on Wednesday. 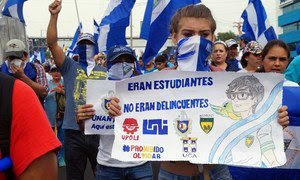 Security Council takes up Nicaragua crisis, with some reservationsPolitical turmoil in Nicaragua could pose a threat to the security of countries across Central America, the UN Security Council heard on Wednesday. 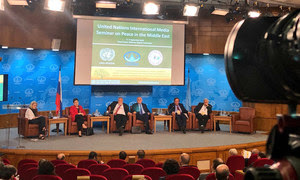 UN media seminar on peace in the Middle East, highlights ‘power of words over weapons’Engaging in debate over how best to advance peace in the Middle East and resolving the Israeli-Palestinian conflict is “a welcome reminder of the power of words over weapons,” said United Nations chief António Guterres on Wednesday. Albinism: UN official welcomes latest developments in ‘landmark’ Malawi murder caseThe top United Nations representative in Malawi is urging the Government to promptly prosecute those allegedly responsible for the death of a young man with albinism whose butchered body was found earlier this year. Peace must be built ‘block after block’ UN General Assembly President tells key forumUnder the theme of charting “A Credible Pathway to Sustaining Peace,” Miroslav Lajčák, President of the 72ndGeneral Assembly, convened this year’s one-day High-level Forum for Member States and others on Wednesday, to further promote a global culture of peace.